You probably remember that giddy feeling—maybe a year ago, maybe 18 years ago—when you found out you (or your child) had been accepted to Sage Hill School. The future members of the Class of 2023 are experiencing that excitement right now. Of course, not all of the students we accept are certain they will attend Sage Hill School. That’s why we offer our Accepted Student Day and Accepted Parent Evening this month to help families make the critical decision that will shape a young person’s next four years, and even their lifetime. From its inception, Sage Hill has instilled in students the value of engaging with others to contribute to the greater good. In this month’s blog post, President Gordon McNeill describes some of the remarkable connections our students have made through service learning, not only with members of the community, but also with each other. 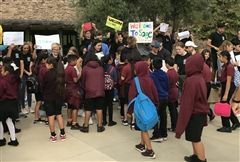 A small group of Sage Hill students regularly arrives on campus earlier than everyone else; not to work out or have breakfast or socialize, but to connect with their teacher and with each other in a 20-minute class meeting. 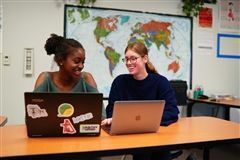 As President Gordon McNeill explains in his latest blog post, those class meetings are the touchstone of SageConnected, our hybrid courses where much of the learning happens online. Lightning pride is reaching fever pitch these days, with a new student spirit group, a school store in the works, and lots more on tap. 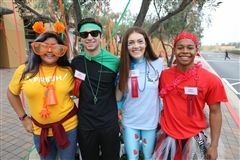 President Gordon McNeill speaks to the value of the connections school spirit fosters in his most recent blog post. Welcome to my blog! It’s easy to get caught up in the day-to-day business of the school -- this blog is an opportunity to share my perspective on Sage Hill School. I invite you share your thoughts and suggestions for future posts. 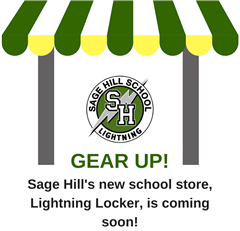 Feel free to email me at McNeillG@sagehillschool.org. Click here to visit my blog archives.